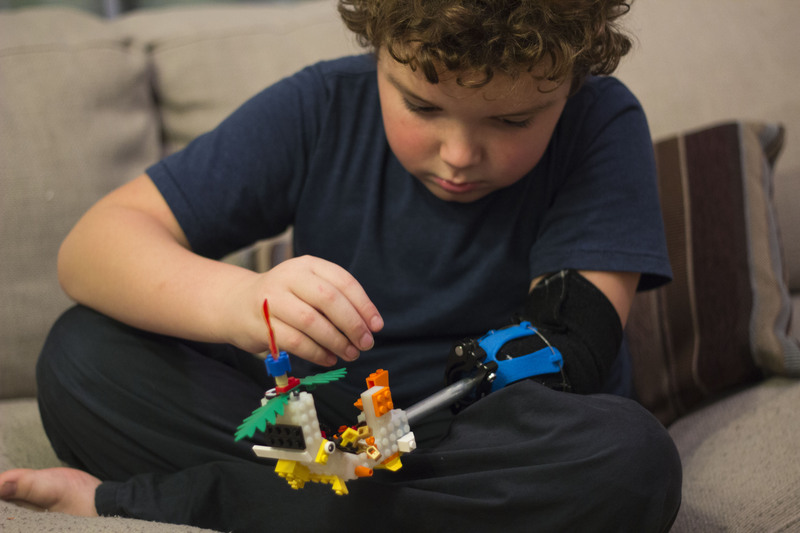 I met Aidan Robinson though a summer camp called Superhero Cyborgs where kids got the opportunity to design their own prosthetic devices or exoskeletons. Aidan had some really amazing ideas about what he wanted to see in his own prosthetics, and I decided to take some of these ideas to the next level. 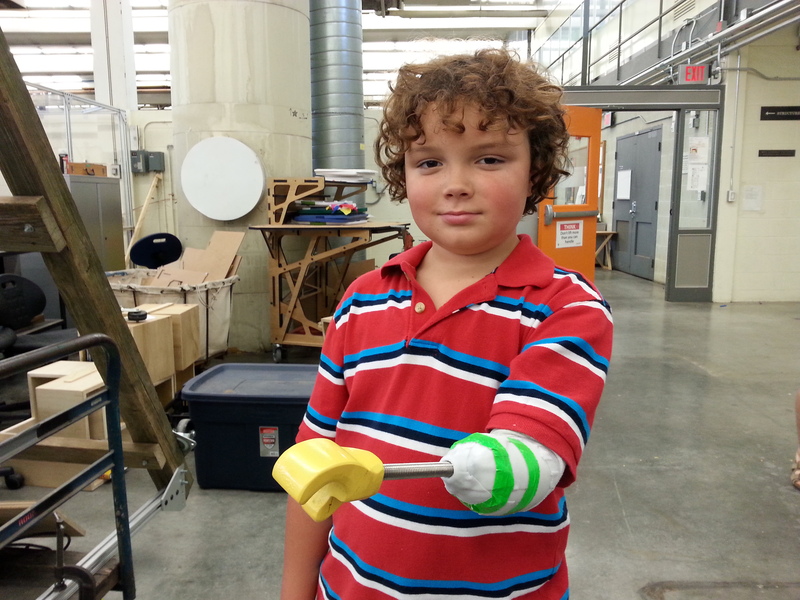 The first innovation Aidan was imagining had to do with the socket portion of his prosthetic arm. Everyone knows that children grow quickly. Kids with limb differences are no different in this way from the rest of us. 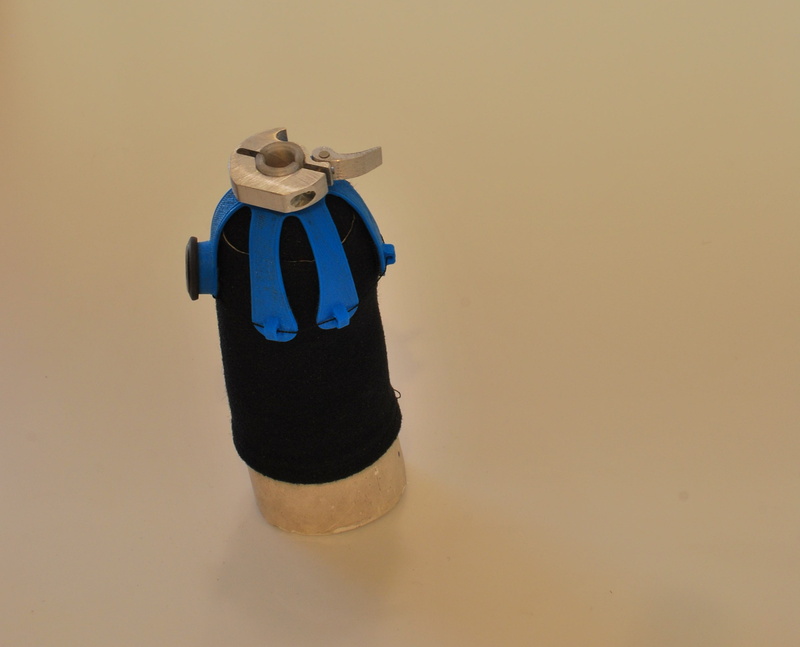 Prosthetic sockets, though are made from rigid materials that cannot change size as kids grow. 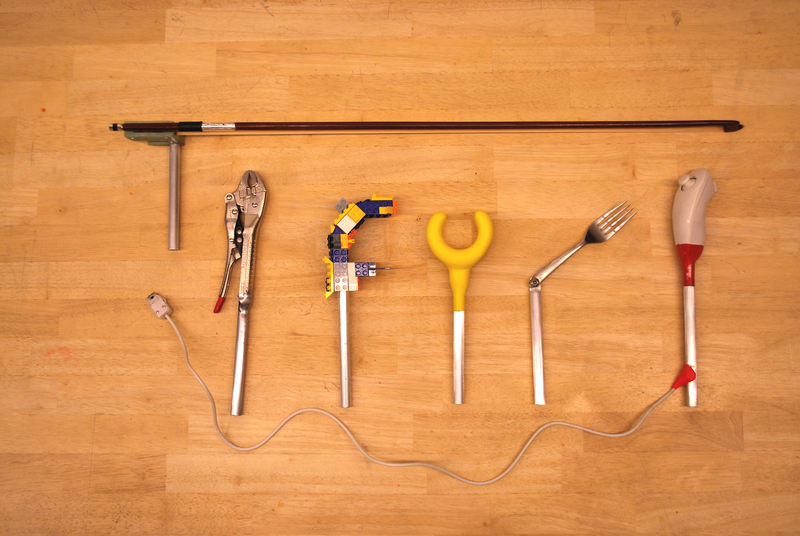 His second idea was to create what he called a ‘swiss army knife’ of prosthetic attachments. Rather than creating a device with a hook or semi-functional mechanical hand, Aidan and I decided to create an arsenal of kid-friendly and functional attachments. Aidan's New Arm from Pier 9 on Vimeo. The spoon and fork attachments allow Aidan to eat more effectively. 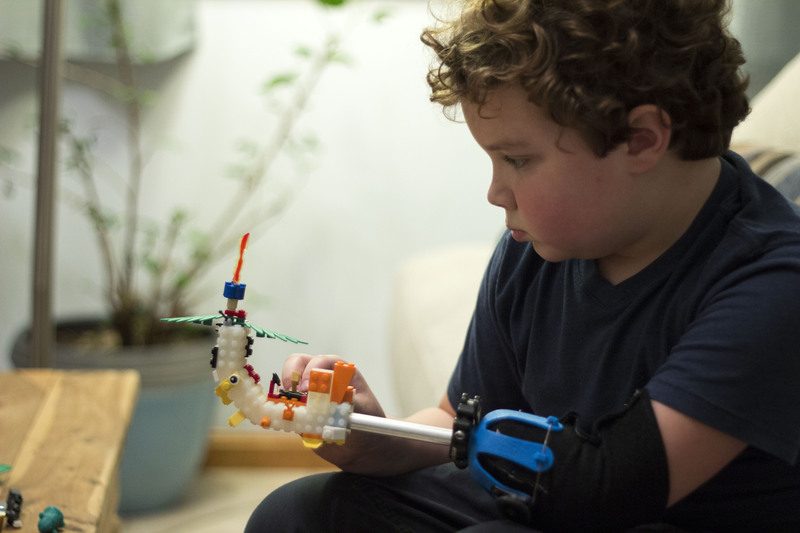 Aidan's Superhero Arm at the White Houe from Coby Unger on Vimeo. 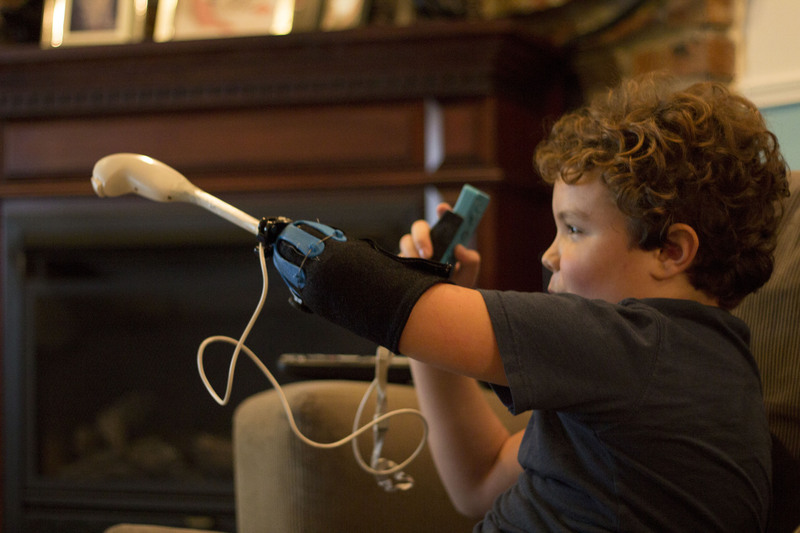 The socket portion of Aidan's new prosthetic arm is made from a thermoplastic that can be reheated and reformed easily as his arm grows. It is also adjustable on a more immediate basis for comfort and fit. Aidan was randomly assigned the violin in his school band but is unable to play with one hand. The Violin bow attachment will allow him to play in the band. The LEGO attachment has two functions. First is purely as a building to for fun. More importantly it is a platform for him to prototype future arm attachments. The Nintendo Wii uses a two handed interface. 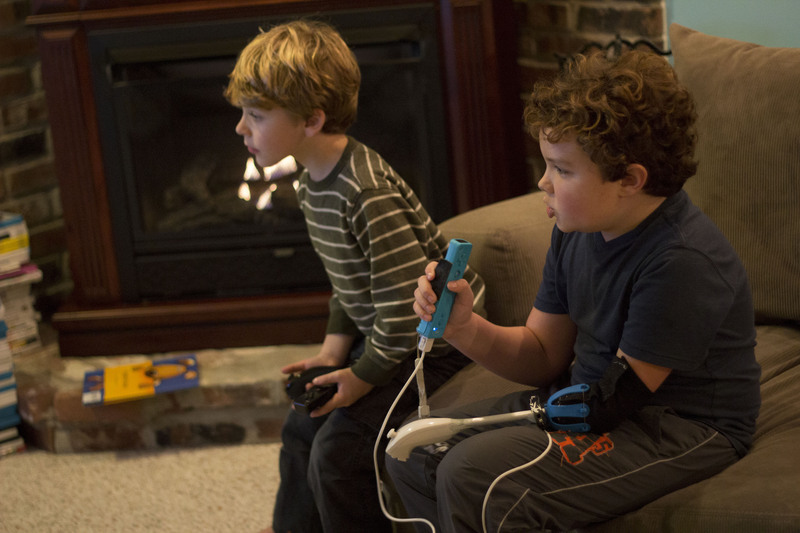 This attachment allows Aidan to use both of the Wii controllers simultaneously. Aidan and his brother playing Wii together. This is the prototype Aidan made during his time at the Superhero Cyborgs summer camp.